Kings Brand Furniture Black Metal Console Table Wine Rack Buffet Server. 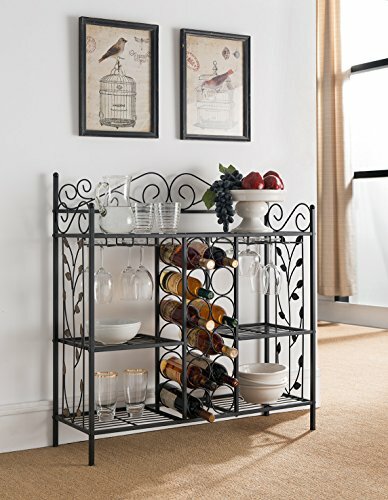 Wine rack can hold up to 12 wine bottles, Storage for glasses shelves to elegantly display your dinnerware. Dimensions: 36"W x 12"D x 37"H.